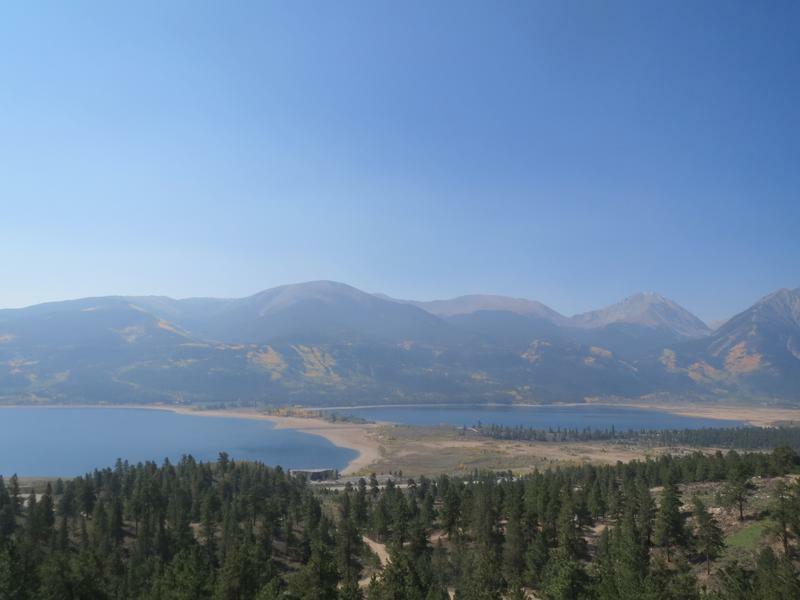 Twin Lakes is a quick, fun stop for those traveling around Leadville. 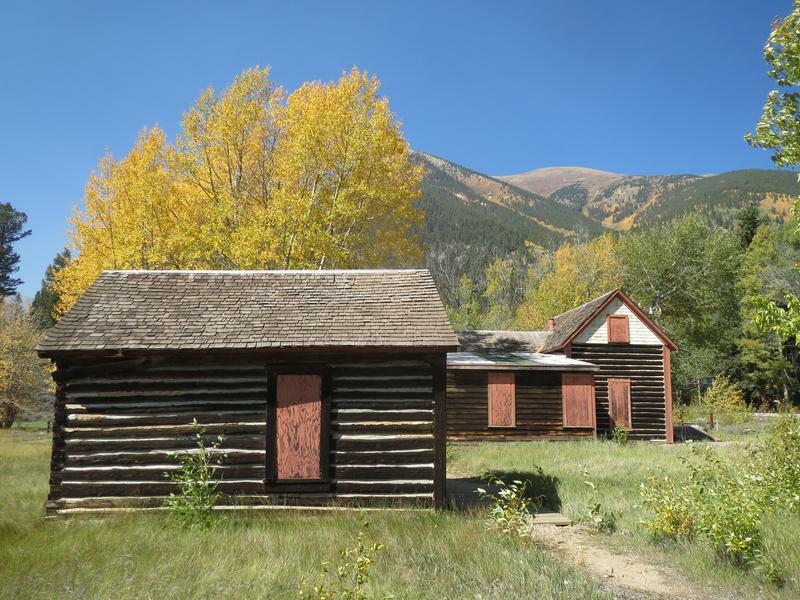 It’s a semi ghost town located west of the intersection of Highway 24 and Colorado 82 (Independence Pass). 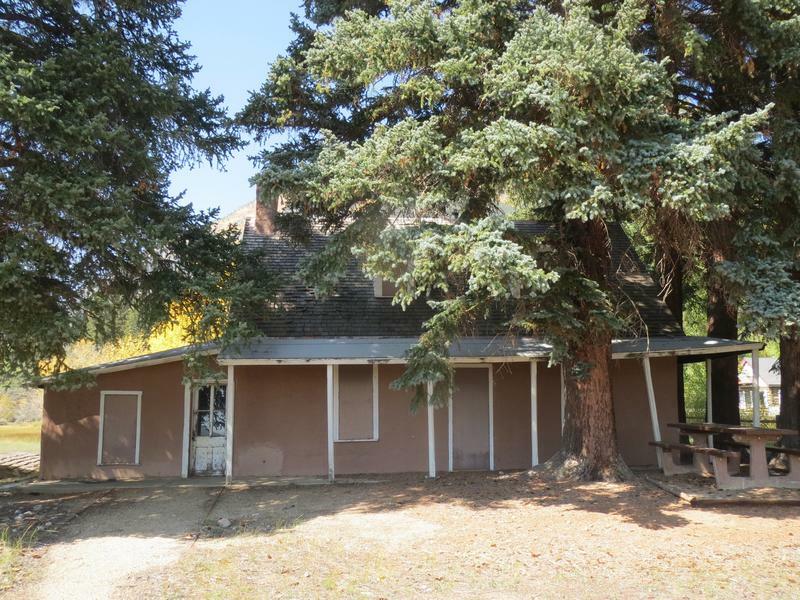 There are several original buildings, including a once rowdy saloon, 2 hotels and some old cabins. The town is named after the two lakes beside it. Interlaken, a famous hotel from 1890, sits outside the main town on the southern shore of the upper lake. The former Red Rooster Tavern is the Visitor Center. 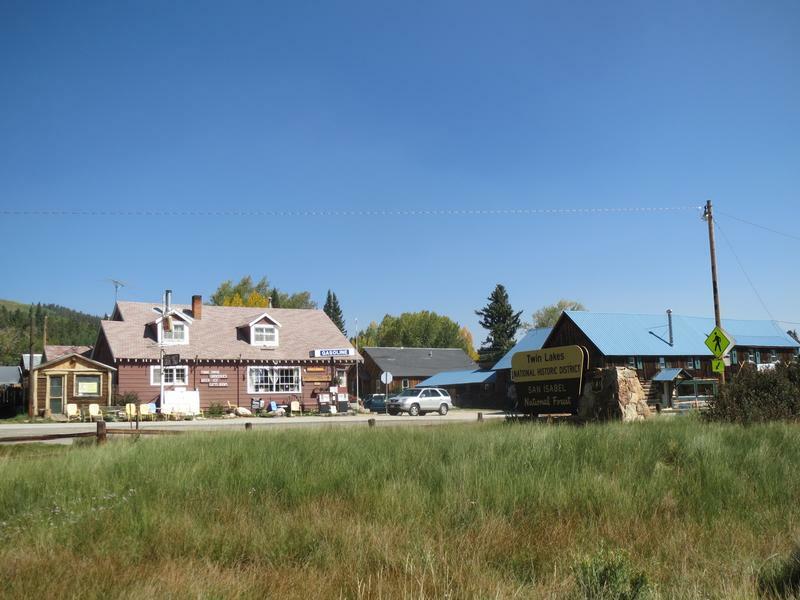 Across the street from the ghost town are a presently operating restaurant, general store/post office and lodging options. 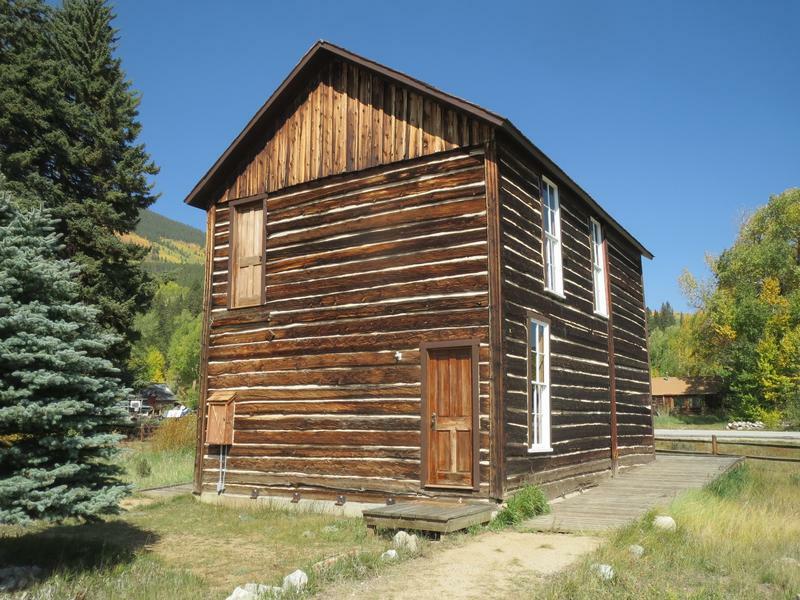 Prospectors founded the first village here, Dayton, in the 1860s. 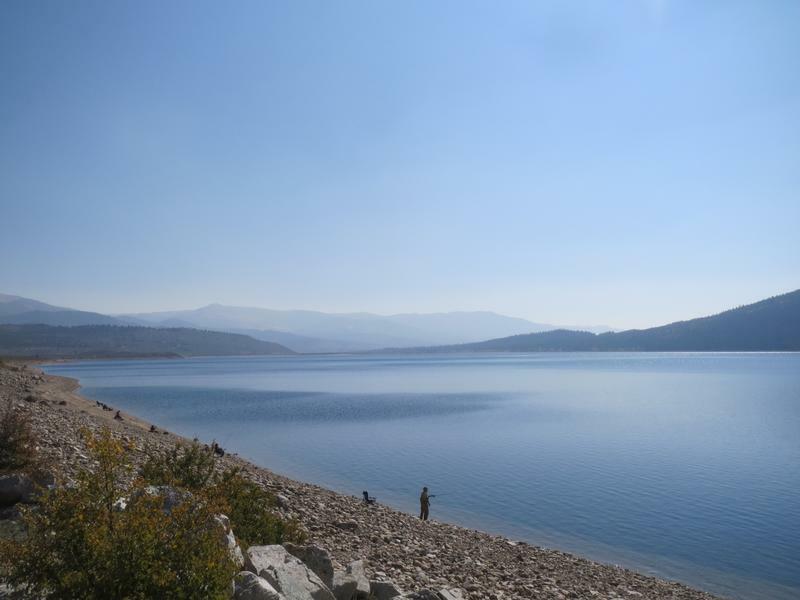 After a bust in mining, the silver rush brought the area back to life and Dayton was named to Twin Lakes. 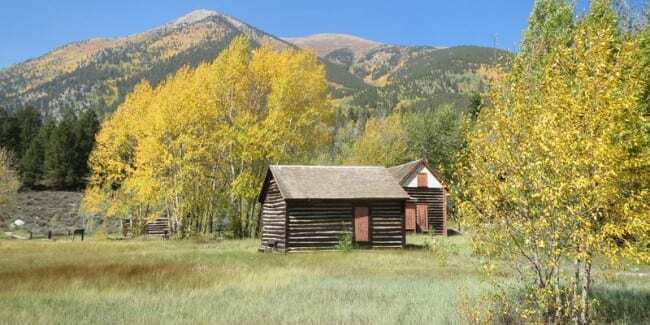 In 1885 a guide to Colorado named it “..the most charming summer resort in Colorado.” It had 3 hotels, several saloons and many log cabins. 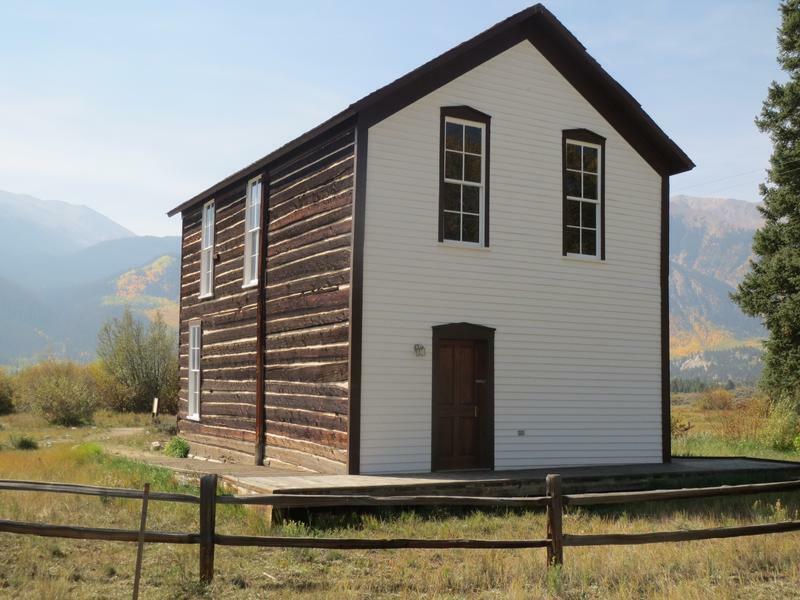 There was also mining done in the area and Twin Lakes was a transportation hub between Leadville and Aspen. 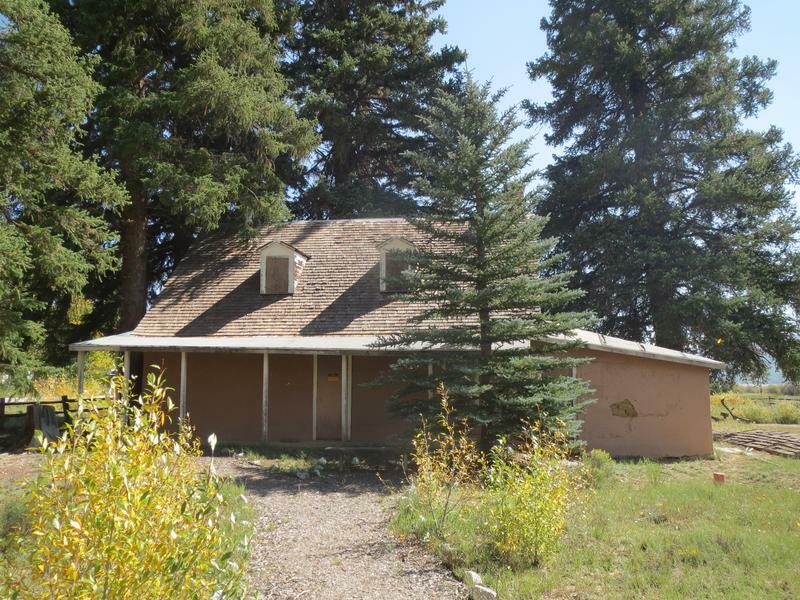 Head south from Leadville on Hwy 24 and make a right onto CO 82 (in 10-15 minutes). 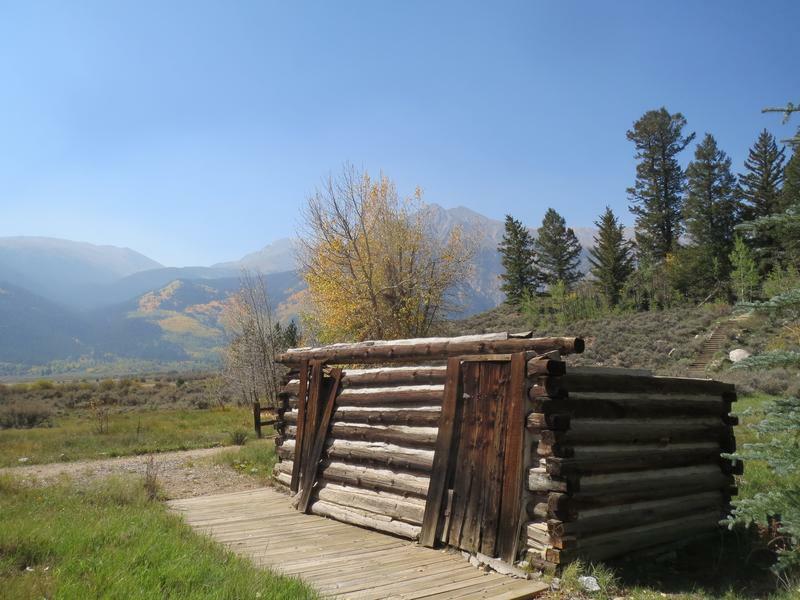 The historic town of Twin Lakes will be a few miles up on the left, while the road continues to Independence Pass. 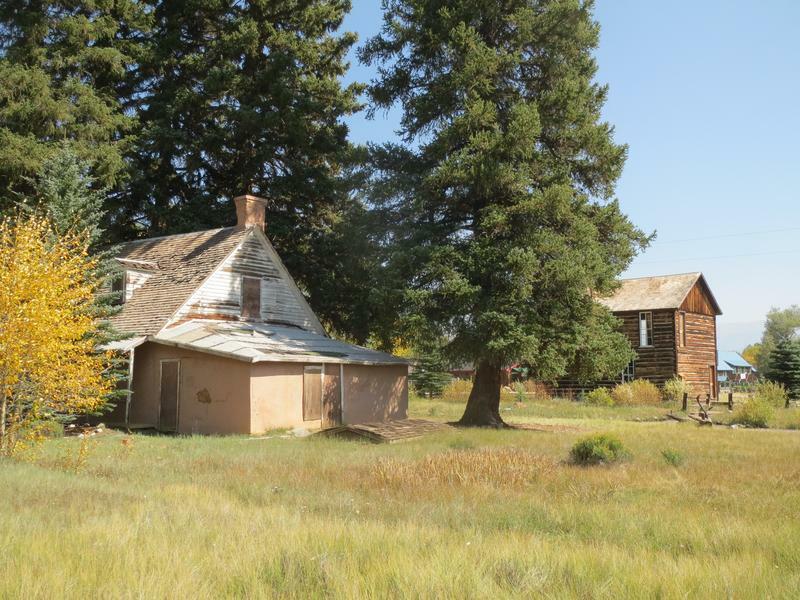 Assay Office and Log Cabin. Red Rooster Tavern is now the Visitor Center. 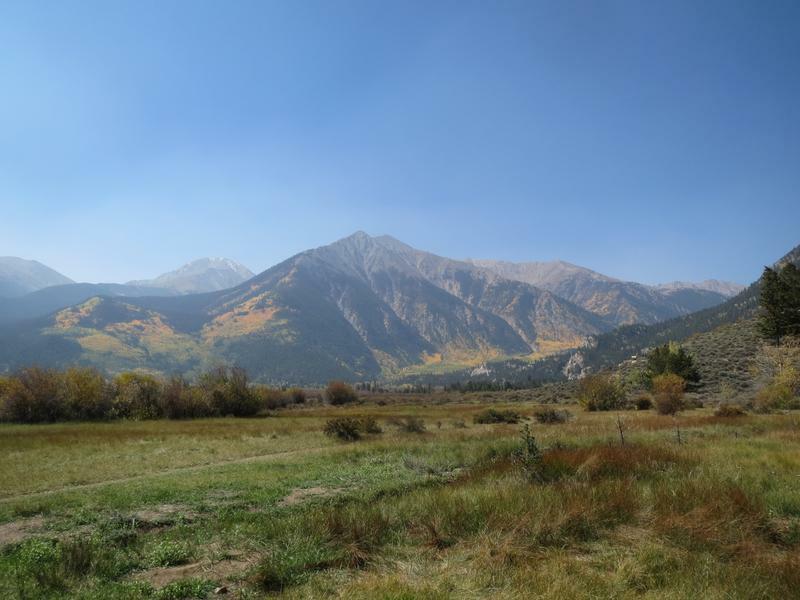 Looking west toward Independence Pass. Houses and a few shops line CO 82. 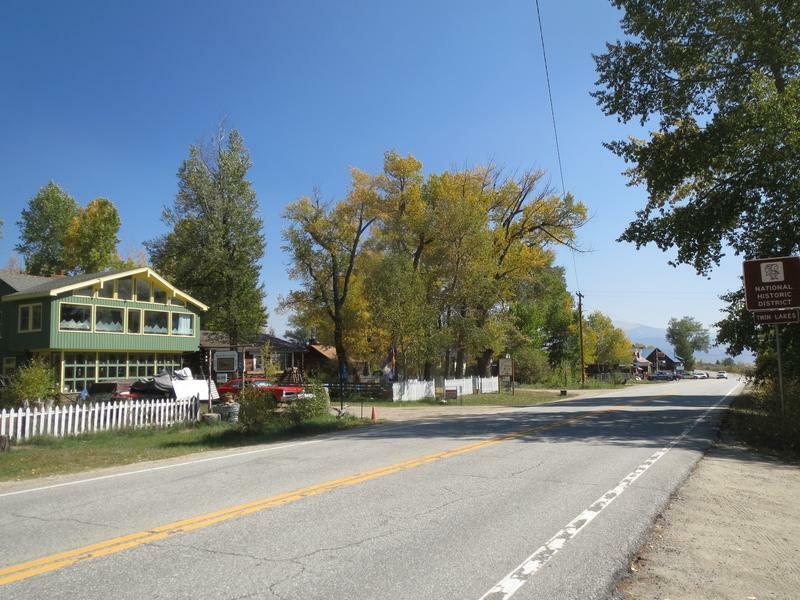 General store (left) and restaurant and lodging (right). 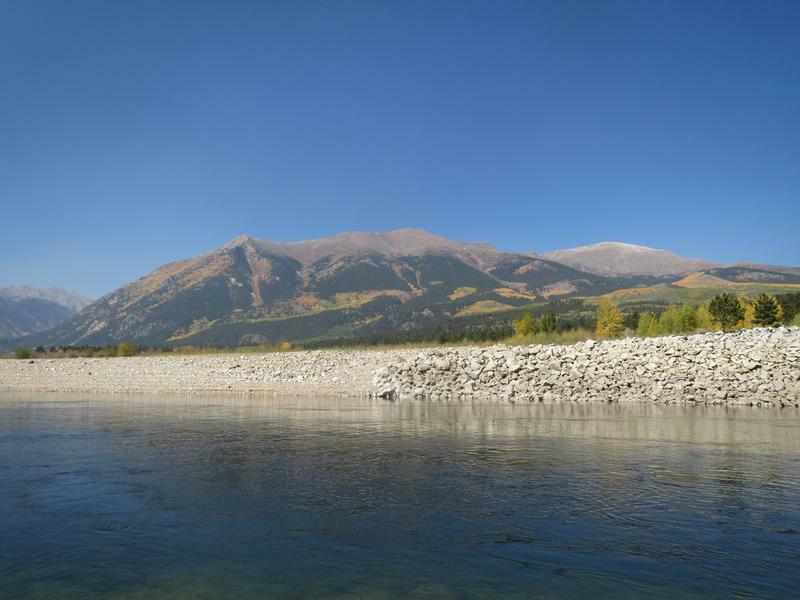 Mount Elbert (peak is on right). 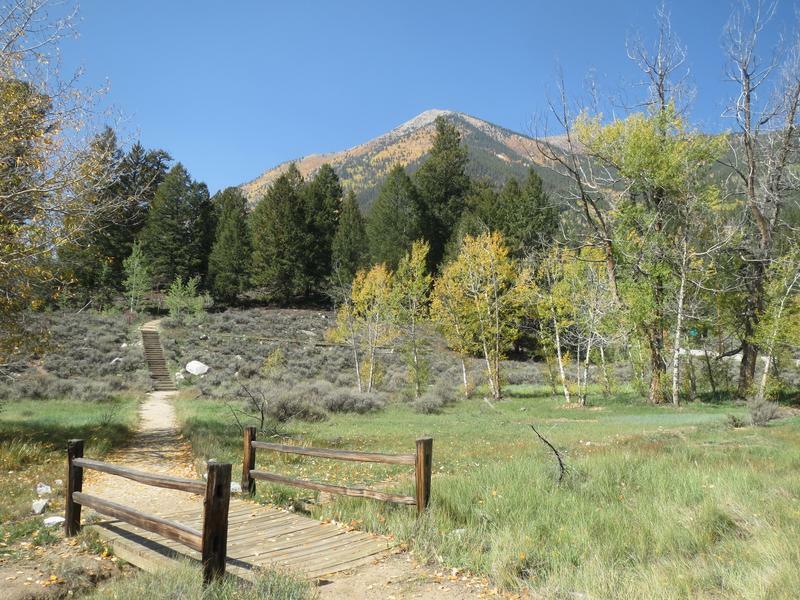 Twin Lakes lies just east of the historic village.